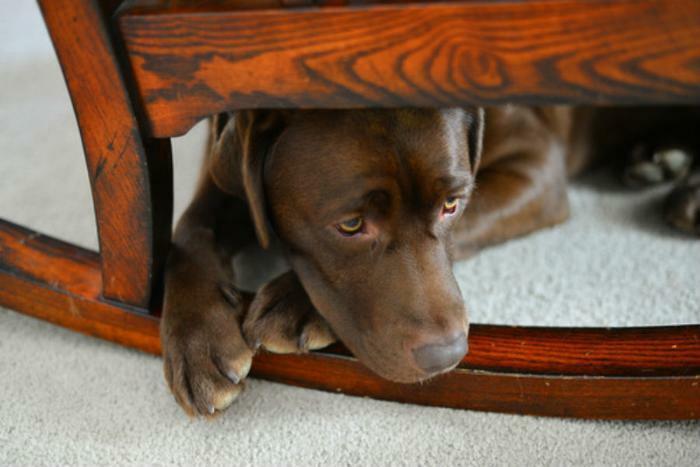 If your pup panics when left alone or becomes a furry ball of nerves when a storm rolls in, you may be dealing with an anxious pet -- and you’re not alone. Veterinarians estimate that over 50 percent of dogs and cats in the U.S. suffer from fear, anxiety, and stress (FAS), but not all owners know how to properly cope with the condition. Frustrated by their pets’ stress-induced behavioral issues, some owners may resort to relinquishing their pet to a local shelter. However, there are other solutions to dealing with a dog who may exhibit destructive behaviors when you leave the house. The ASPCA's National Rehoming Survey reports that behavior problems are the most common reason animals are relinquished, accounting for 47% of dogs and 42% of cats each year. But distress is a common culprit when it comes to behavioral problems such as destructiveness, inappropriate elimination, self-harm, fear biting, barking, and howling. Pet owners can seek to eliminate their pet’s distress in a variety of ways. Keep homecomings calm. Upon arriving home, ignore your dog for a few minutes then calmly pet them. Not making a big deal out of arrivals and departures can help ease a dog’s anxiety triggered by their human’s absence. Leave your recently worn clothes. Dip into your dirty laundry and find an article of clothing that smells like you. Leave it at home as a comfort object for your pet. Word association. Establish a word or action that you use every time you leave the house to let your dog know you’ll be back. Use an OTC product. Pet owners can also consider picking up an over-the-counter calming product to help reduce their pets’ fearfulness. For more severe cases of separation anxiety, the Humane Society suggests using the techniques above along with desensitization training. Teach your dog the sit-stay and down-stay commands using positive reinforcement in order to help them learn to stay calm while you go to another room. Storm-induced dog anxiety can be another tough battle for pet parents. Loud noises and lightning flashes can frighten pets, causing them to cower in fear or exhibit unwanted behaviors. To help your pooch get over their fear of storms, the Michigan Humane Society (MHS) suggests desensitizing them. With your dog in another room, play recorded thunder sounds at a low volume and raise the volume in small increments.